In the “rose colored memory” of The Sky Surfer, it has been the 1980’s since we have had as much snow in Kansas as we are experiencing this Winter. 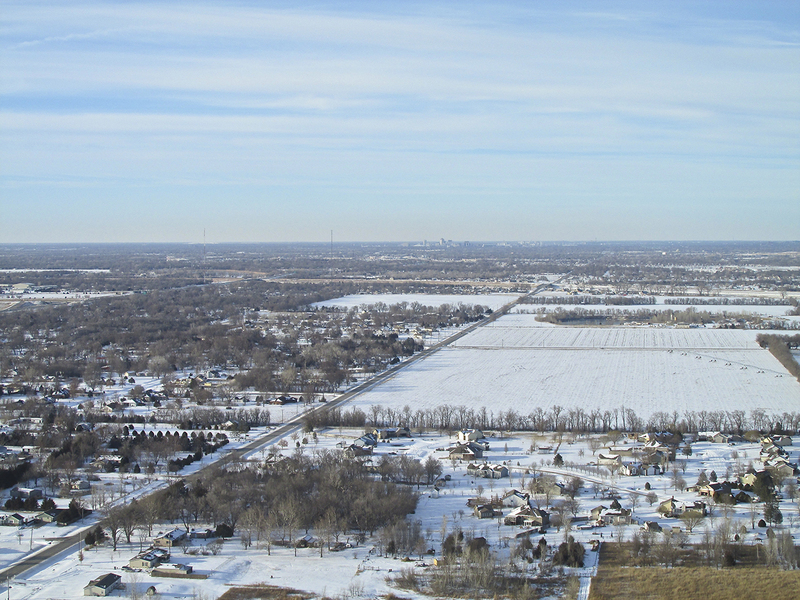 Back then, when I had a Quicksilver MX, I made a flight over new snow in the area Northeast of Wichita. I have always treasured that hour in the air and the grand view it provided. It was early enough in the morning that most of the streets were still snow covered. The visual impression was that of Kansas in the 1870’s – smoke from chimneys here and there but no cars out and no (visible) streets. I wandered about in the brisk air until it occurred to me there was no feeling in my right hand. Since that is the “control stick hand” for a Quicksilver, it seemed like a good time to turn back. The hand performed adequately and landing was uneventful. This January, I posted (in excruciating detail) a wind faring project that I built and installed on my Quicksilver. 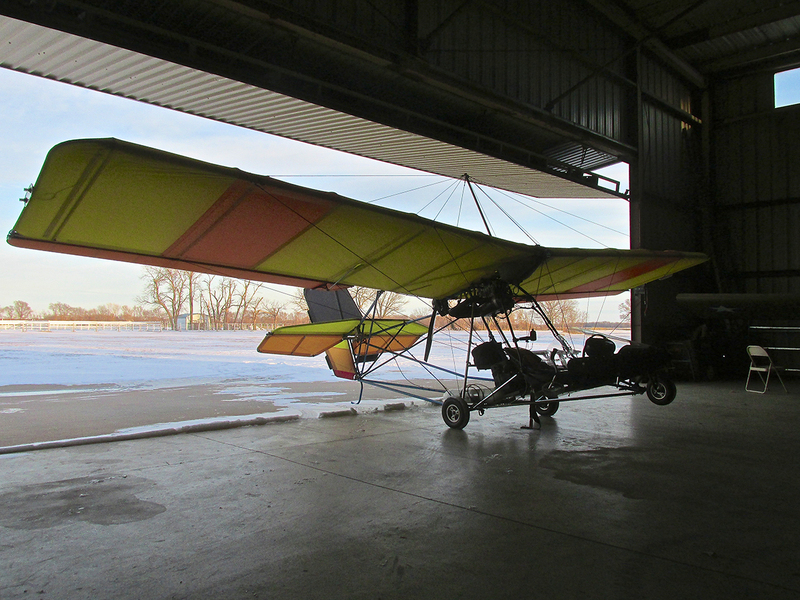 While considering the design, and even more so after finishing it, I knew it would require the acid test of actually flying in cold weather. I doubt if anybody else cared if I ever did “fly the fairing” but personally I had to “close the loop”. I suppose I could have done this in 40 degree temps but, would that impress the Inner Surfer? Would that inspire the one who envisions himself “Hanging 10” into the beach at Molokai? The one who “rides the tube“ with impunity? Of course not. The Surfer needs a Challenge! In January and February good quantities of snow manifested across the area. After these snow falls, flight was not propitious. 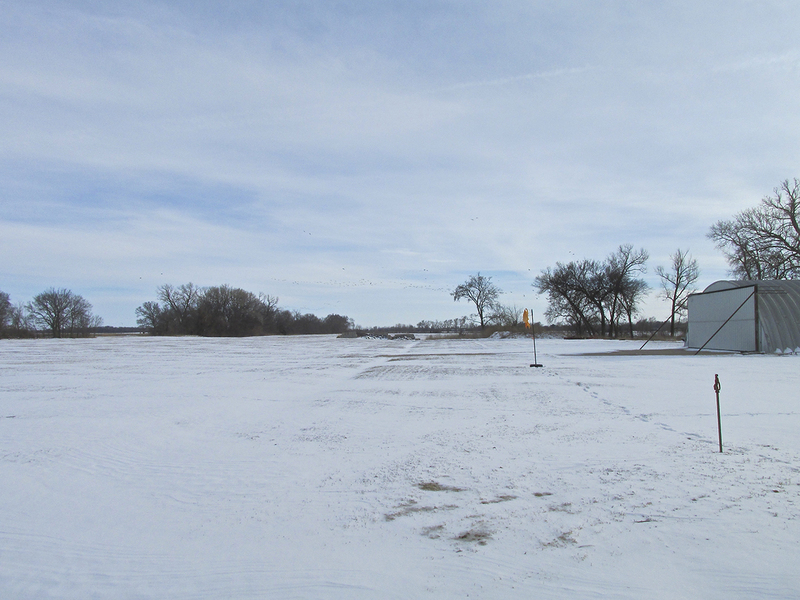 Either the wind was too high, the snow too deep or the temperature had warmed too quickly and the field had turned to slush. I don’t take off in slush because my main landing gear throw it up on the wings and into the prop. The potential for a ruined propeller makes the endeavor not worthwhile. I had one window of opportunity. In Feb, it snowed with a hard blowing wind. When it died down, I went to the airport to survey the situation. The field surface showed potential but visibility was only a mile and the air was quite humid. I decided to wait another day or so for a better moment. This proved to be a mistake as soon thereafter, the sun beat down so hard it seemed like Spring was starting early. 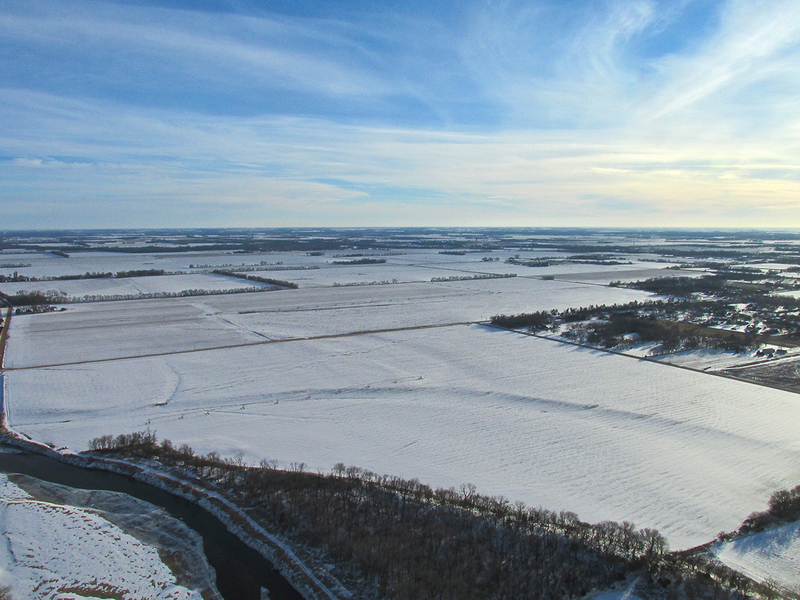 For about a week or so I was disappointed with myself for not taking that “last” Snow Covered, Winter Flight Opportunity – Possibly the last one around here for Decades! That changed last weekend. Temperatures dropped dramatically along with a good quantity of snow. The high wind stopped on Monday the 3rd of March, the sky was clear and I knew it was time to act. 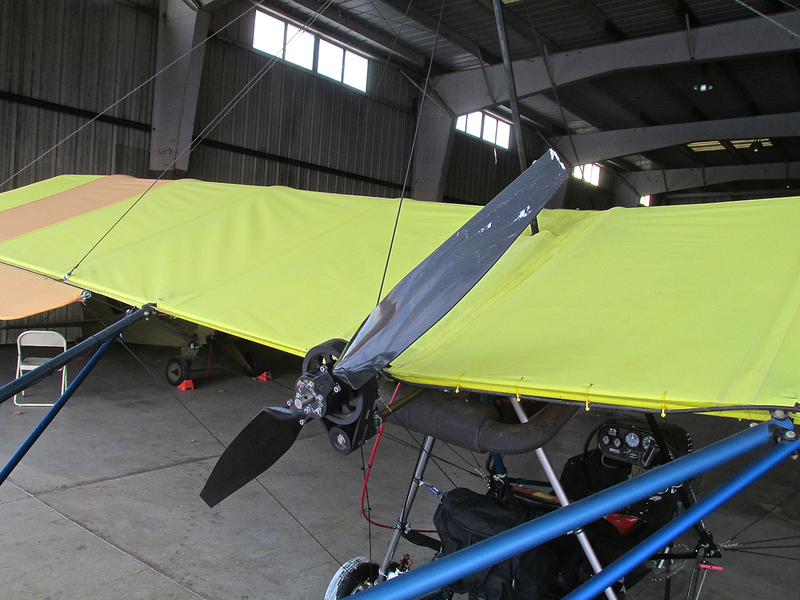 The first picture in this report was taken just after I arrived at the field before opening the hangar. I had brought my “wind proof” snow suit, flight jacket, electric gloves, two sets of neck gaiters, warm boots and helmet. The only missing “Stage 3” element was long underwear. They were not missed. The ambient air temperature was 15 degrees when I arrived with about a 5 mph surface wind from the South. 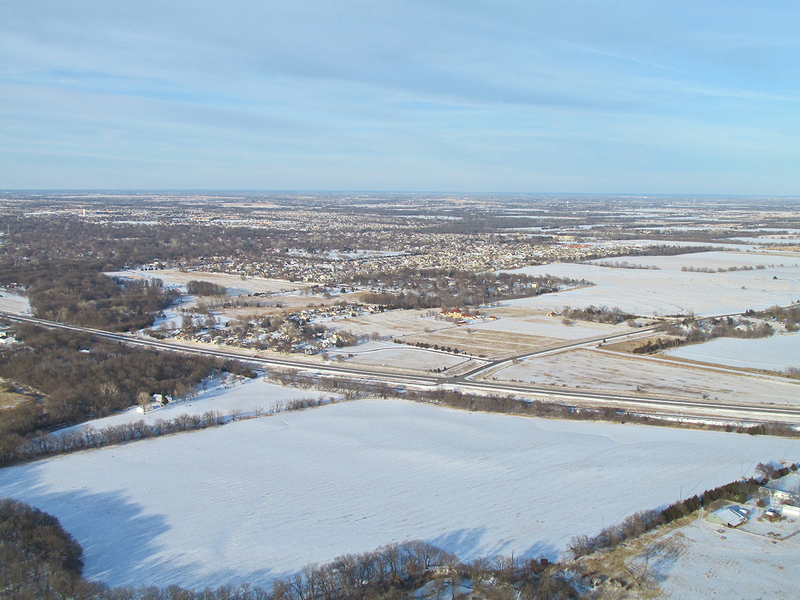 It was cold enough that my uncovered hands lost feeling while I pre-flighted the plane and took pictures. When finally airborne, I am happy to say my experimental wind fairing did its job. I was quite comfortable. My face mask fogged up a few times and had to be cleared but that was the only physical indication of how cold it was. 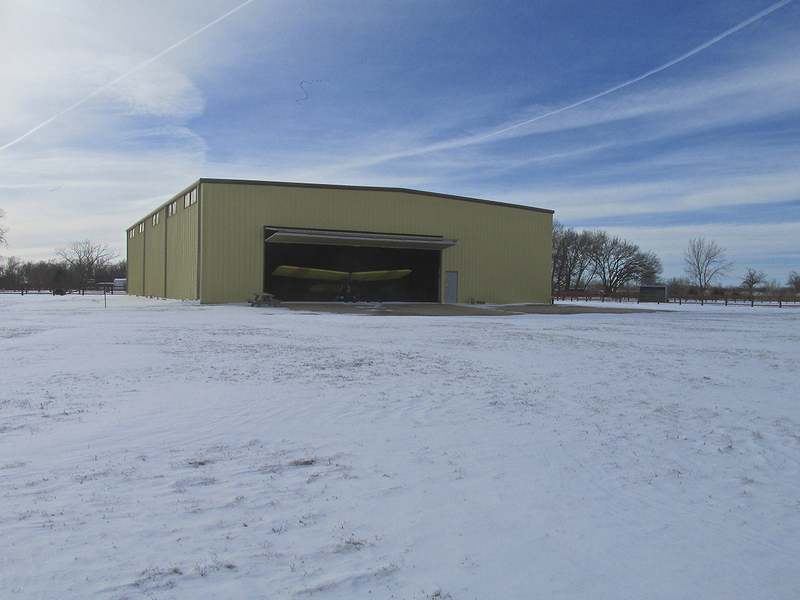 The MXL peeks tentatively outside its hangar (note the “S Curve” of geese over the hangar in the distance). I opened the hangar and pulled my plane to the opening where the light was better. Naturally I was thinking “photo op” and took a few pix. 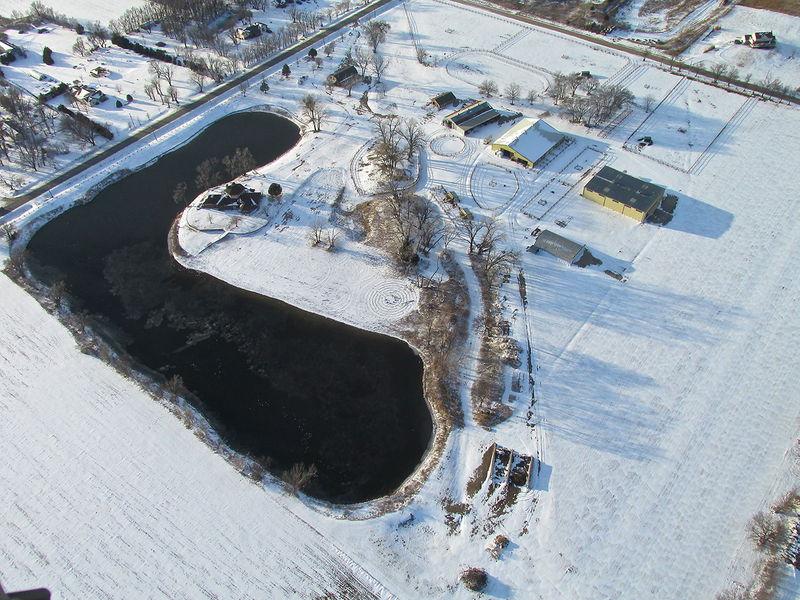 Geese from all around the region use the lake on the Southwest part of the Selby property to congregate. 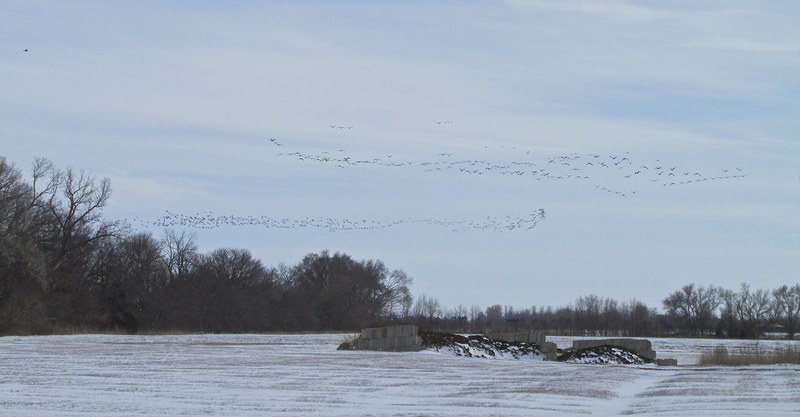 The word was out that afternoon for everyone to show up at The Aerodrome so all the while I was pre-flighting, warming up the engine and taking pictures, geese passed over in abundance. …with more arriving from the North all the time. They are caught on the horns of a dilemma, though. For example, TV audiences will watch a “news story” consisting of cute pictures of someone’s dog doing wacky tricks by a large margin over a “talking head” economist explaining how government induced inflation is sapping your buying power and savings. The economist supplying information VITAL TO YOUR LIFE will be ignored by a vast majority of the TV audience simply because he is not balancing one-legged on a beach ball while juggling his calculators. He is not entertaining – the puppy is – so no one cares what Professor I. M. Numbers has to say. So, to get the all important ratings necessary to engender advertising support – Run The Puppy! While staging this picture, The Sky Surfer thinks he exudes the same “joie de vivre” evidenced by Wiley Post when holding his “space suit helmet” in the famous picture taken with “Winnie Mae” before climbing into the Stratosphere. When I was young, the game Monopoly was quite popular. When you passed “Go” on the game board you would collect a salary. “Pass Go And Collect” entered the lexicon with a variety of connotations. For one group, it was a term of derision. While fooling around taking of the shot above, my hands lost their feeling, I was concerned I might have to “Pass Go And Collect”. 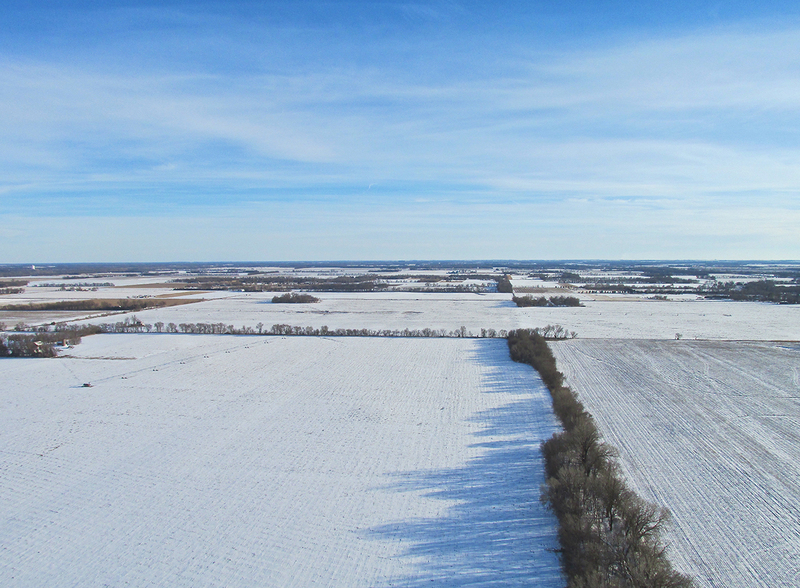 Because of the cold, I thought I might have to take off, quickly snap a few pix, land and go home. This story wasn’t worth frostbite. I am happy to report that did not happen. The fairing and my winter outfit worked so well and the flight was interesting, so I stayed up almost an hour and a half. More geese arrive as I taxi on to the active. Above you see the view from the cockpit as I taxied out. The wind was from that direction (South) but I elected not to take off that way because of the gathering congregation. 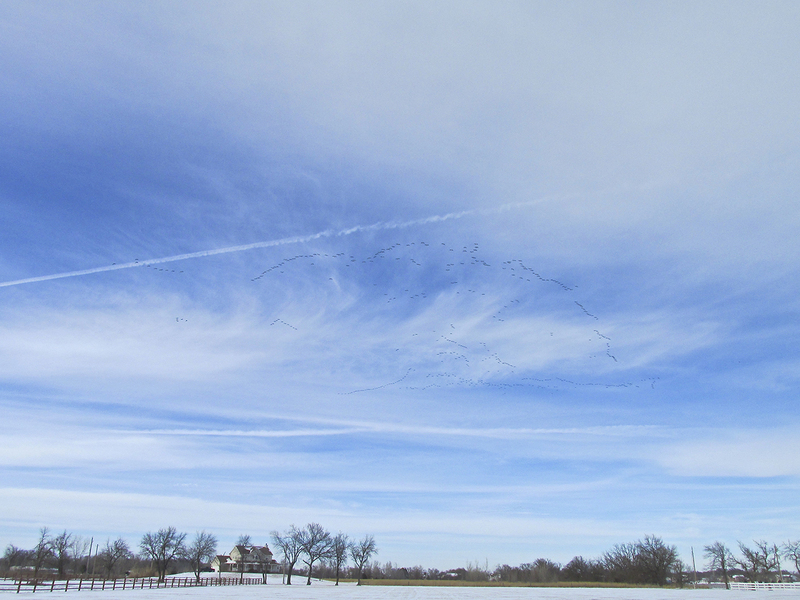 Geese always avoid the big, noisy yellow bird when I am airborne. Unfortunately they are not too smart. 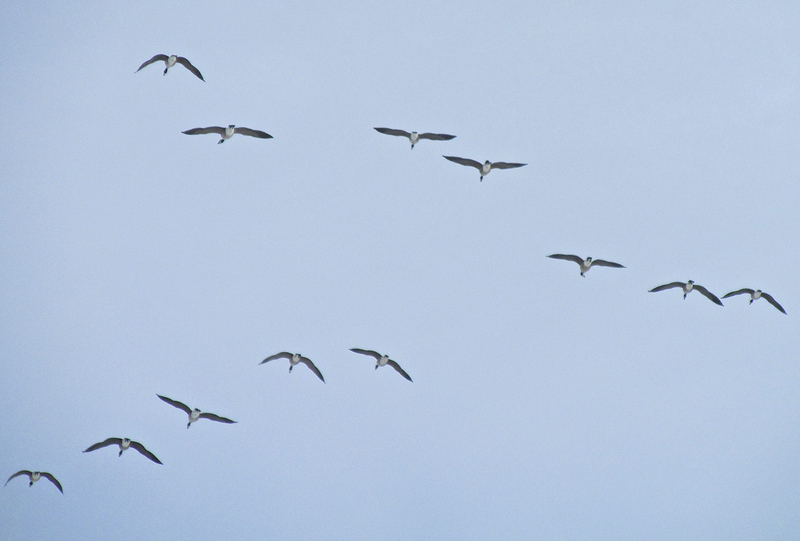 I knew a large flock could easily panic and flail in all directions. Striking a large bird is the bane of any size airplane. I elected to take off downwind to the North. That and the snow obstructing my tires caused my takeoff roll to be somewhat longer than usual. Once in the air, though, the MXL performed superbly. 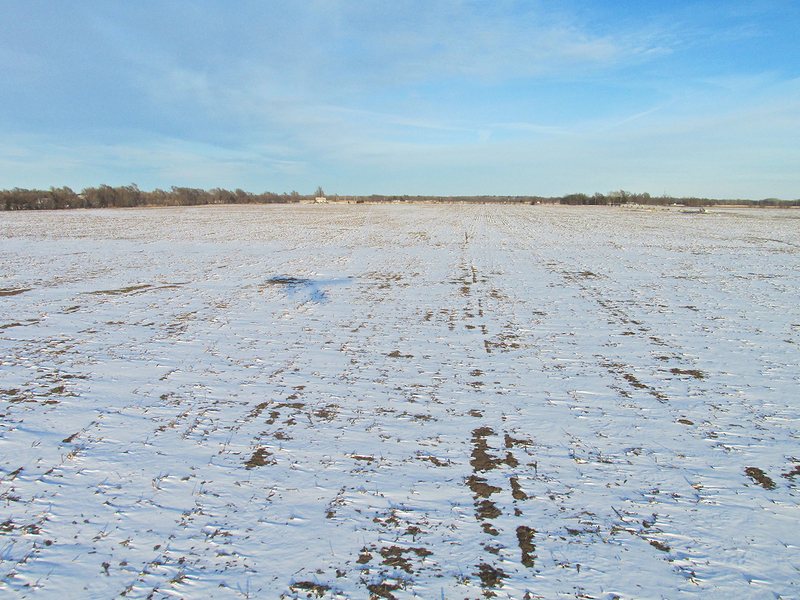 Looking due South adjacent to the East side of Selby Field from 150′ AGL. 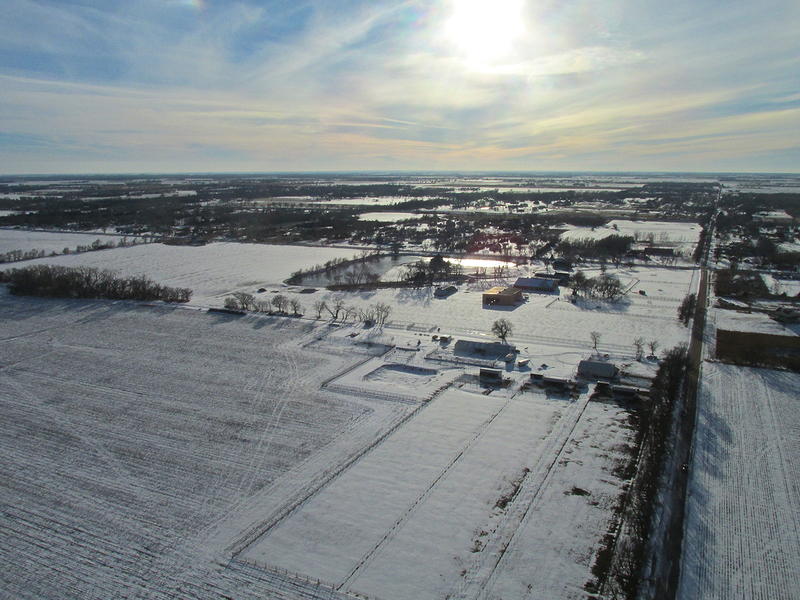 Looking West Southwest from 300′ AGL. Selby Stables and Aerodrome is in the middle. Because I was not going out of the area I left the hangar door open. You can see the sun on the floor of the hangar where it cut through from the windows on the South wall. Looking North Northwest at The Field again. 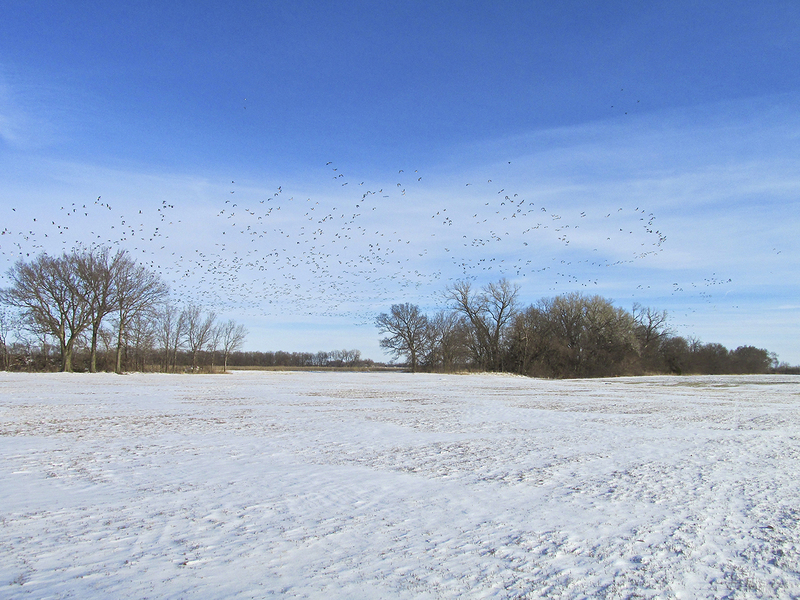 Here the “Geese Party Beach” Southwest of the landing field is most evident. They are spread across the field South of the lake and on the airfield, too. The skyline of Downtown Wichita can be seen nearly 11 miles to the North. 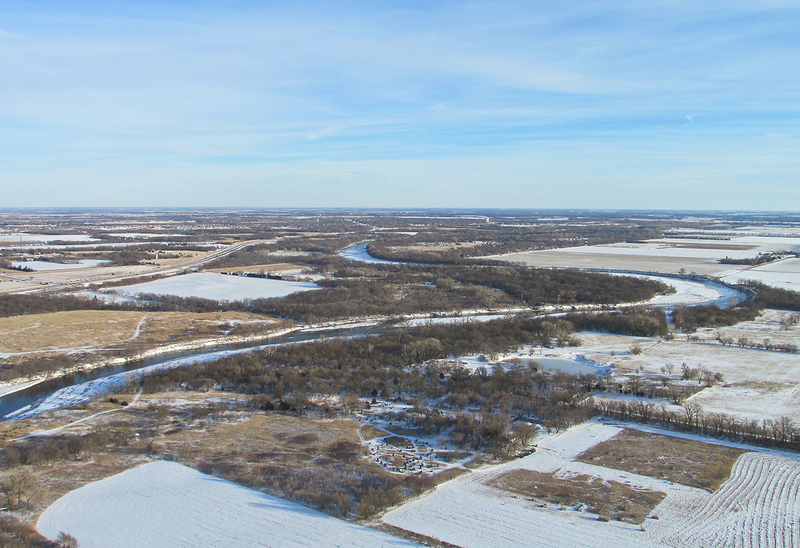 Turning back Southeast, Mulvane, Kansas is in the distance just past these bends of The Arkansas River. In the foreground is Frog Holler Paintball. 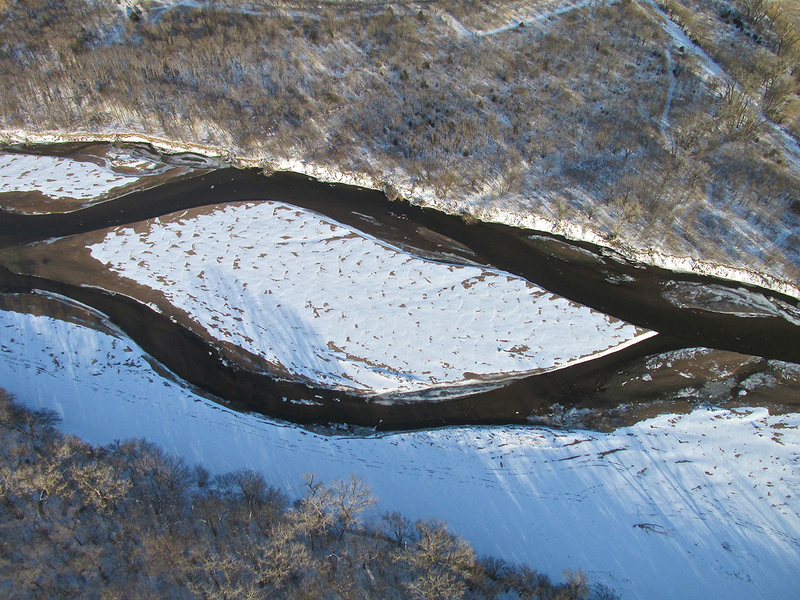 Over the Arkansas River looking Southwest from 600′ AGL. 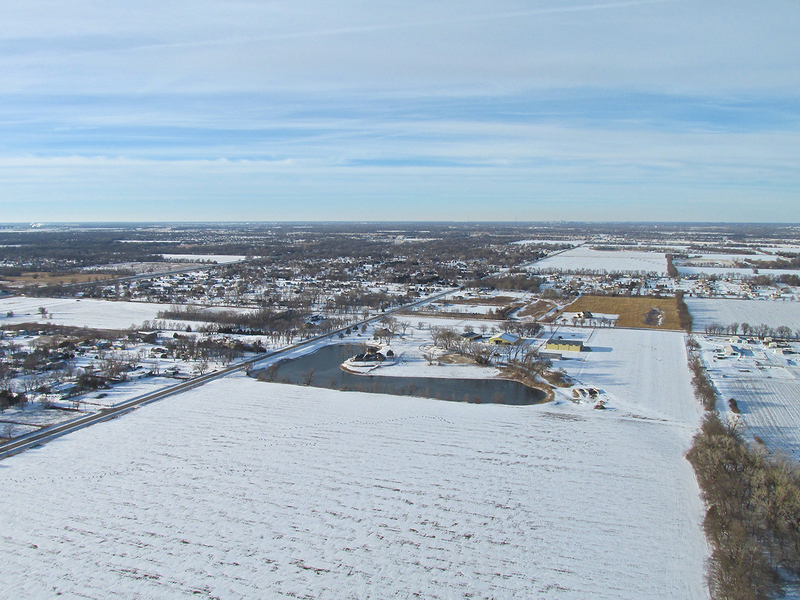 Derby, Kansas from 500′ AGL over the Arkansas looking Northeast. 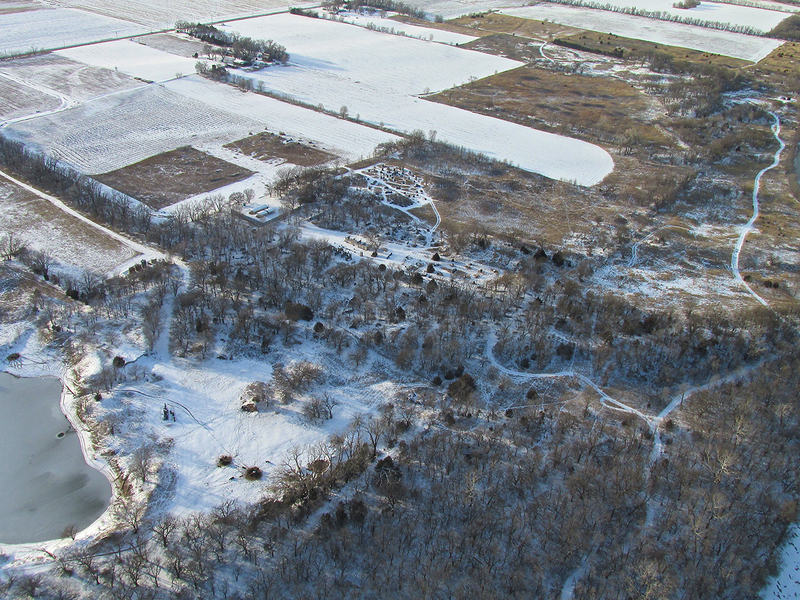 From 600′ looking Northwest we see Frog Holler Paintball. Nobody at war today. 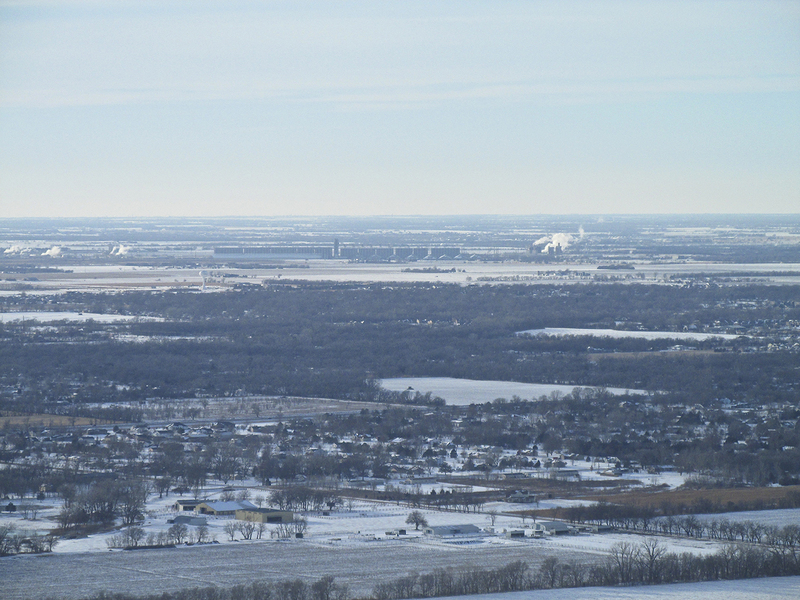 From about 600′ AGL over Frog Holler I tried this telephoto “compression shot” to capture part of Selby Aerodrome and the Gavilon Grain Elevator Complex. Not bad. The “Art Shot” of the day. 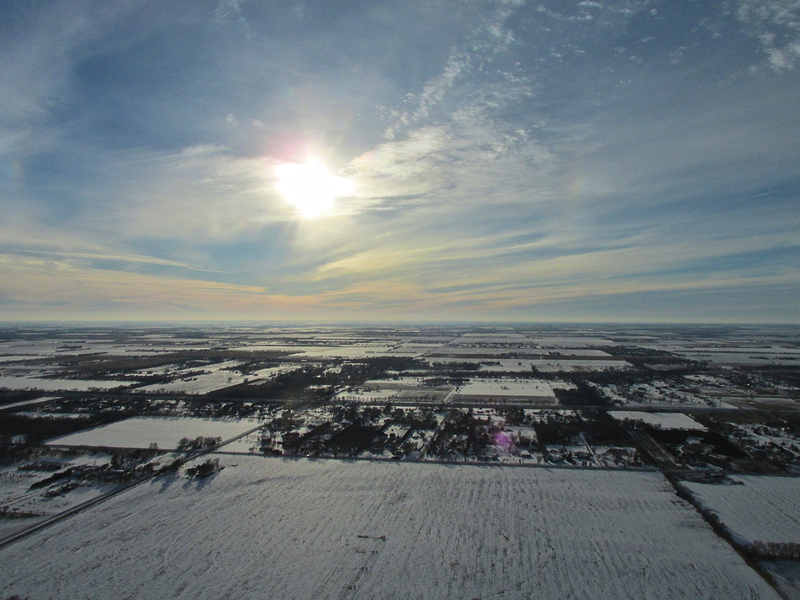 Looking West Southwest from 600′ AGL. Selby Aerodrome & Stables from 500′ AGL. I tried the shot above about 6 times. For most of the passes I had the MXL shadow much closer and much bigger but the camera would shut down just as I was snapping the picture. I also saw a really nice “MXL shadow in a hedgerow” photo op. I tried to get that one about 5-7 times, too, but never got a satisfactory image – maybe another time. I really love my PowerFin Propeller. 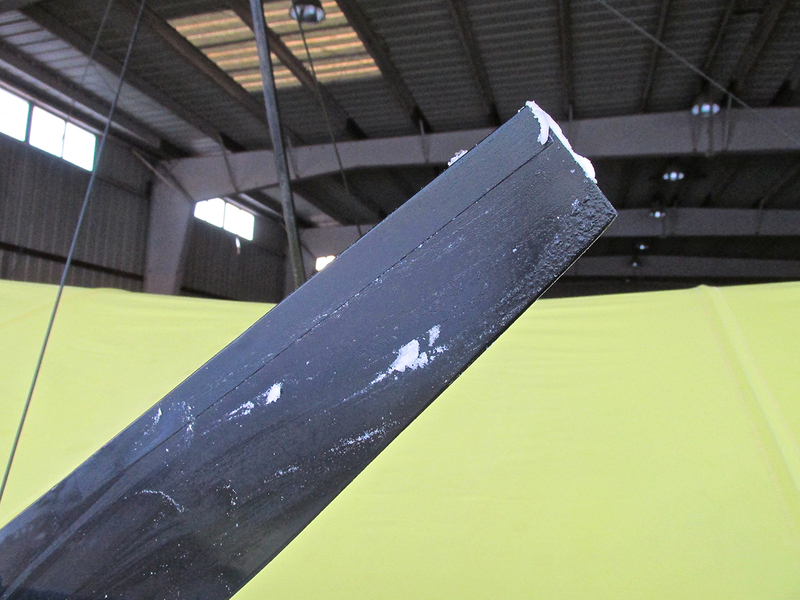 It is one of the keys to the great performance of this plane. My Standard Operating Procedure is to clean the prop after every flight. Years ago I chose windshield wiper fluid as my prop cleaner. It was cold enough that as soon as I spread the wiper fluid across the prop with my rag, it would freeze. I took a couple of shots so you could see it. 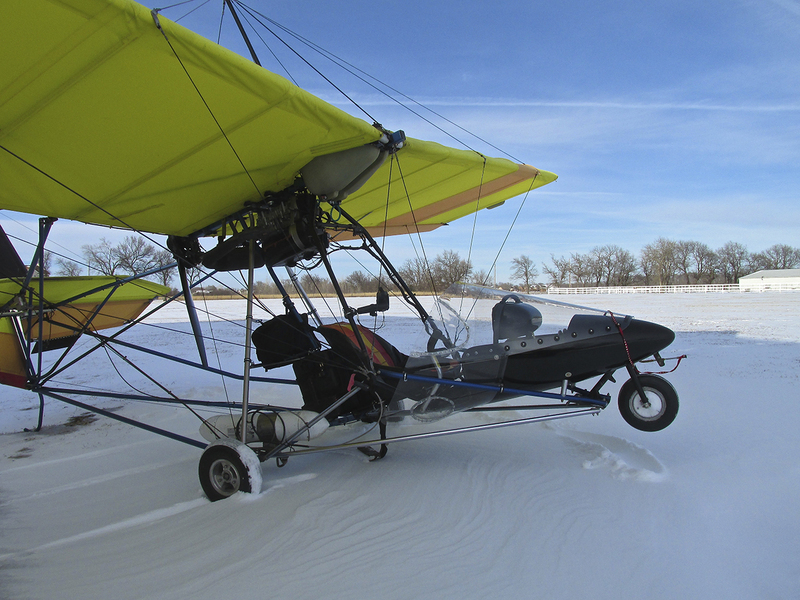 After approaching this flight as “a challenge”, I now see that Winter Flying my Ultralight with the improved windscreen and Stage 3 Cold Outfit isn’t so bad. I’ll be getting out more during the cold but mostly look forward for the arrival of “T-Shirt Weather”! Then The Sky Surfer can don his “jams” and surf the skies without shivering!